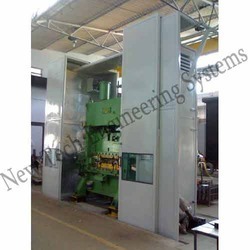 Our immense experience has made us a leading manufacturer of Acoustical enclosure for power press. Our Noise Proof Acoustic Enclosures can suppress noise pollution up to 18-25 dB(A) from machinery. 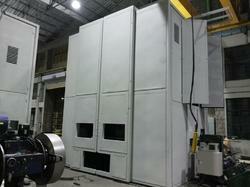 Most of our acoustic enclosures are built completely at our factory and can readily to be placed into usage. Installation is simple and can be done by the customer. 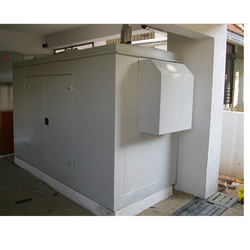 The outer walls of noise proof enclosures are made up of mild steel sheeting and are generally 1.6-2.5mm thick. The internal lining is done as per the requirements. The lining material can vary from rockwool covered with perforated metal to foams and composites. Inlets and outlets are provided in acoustical enclosure for power press to allow the entry and exit of product. 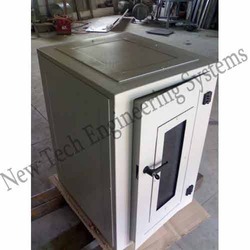 Enclosures are also provided for fans emitting considerable noise through the casing and are provision for air inlet and outlet are also provided. A small ventilation fan may be needed to remove the electric motor heat. 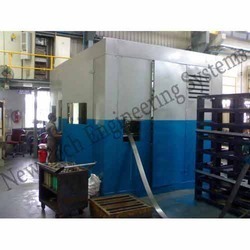 In order to meet the assorted requirements of esteemed clients, we are engaged in delivering a superior range of Industrial Acoustic Enclosure. 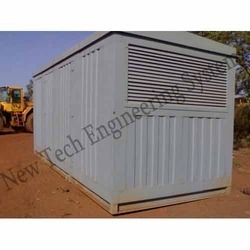 These industrial acoustic enclosures are highly admired in the market for their sturdy make, vibration free nature, weather proof, matchless quality, reliability and long service life. 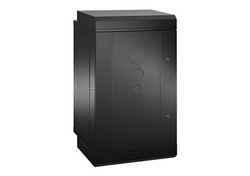 Along with this, the offered range of industrial acoustic enclosures is available in different customized specifications. 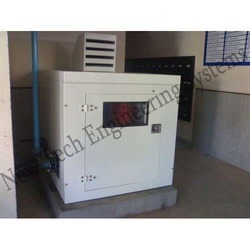 Generator Enclosure are used to isolate the noise generated form D G Sets and reduce it to less than 75dba at 1mtr distance as per CPCB norms.